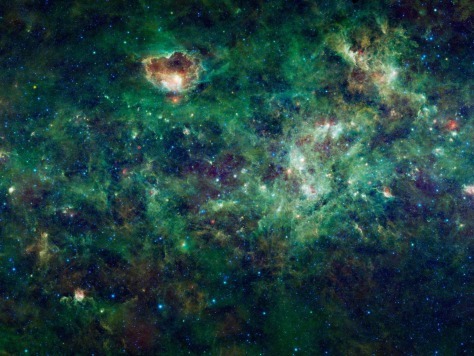 This enormous section of the Milky Way galaxy is a mosaic of images from NASA's Wide-field Infrared Survey Explorer, or WISE. The constellations Cassiopeia and Cepheus are featured in this 1,000-square-degree expanse. These constellations, named after an ancient queen and king of Ethiopia in Greek mythology, are visible in the northern sky every night of the year as seen from most of the United States.